MIRAMICHI – With the fishing season over and equipment taken care of, I’ll wrap up another season with my annual Christmas shopping suggestions for the angler. I’ve checked with my friends in the tackle shops and have an estimated price range for many items mentioned. This column is the “clip and paste” on the fridge with certain items highlighted, as a sort of a hint. 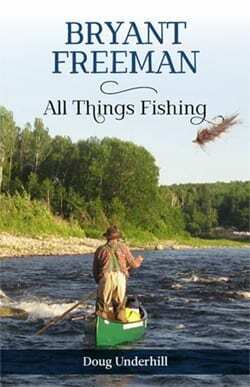 First, I will mention my latest book Bryant Freeman: All Things Fishing. Freeman is an icon fly-tyer known internationally, and also a mentor to many who have followed him into the art of tying flies. What better way to get lost in fishing reveries in a good book during a cold snowy day. Published by Nimbus Publishing, it sells for $19.95. In the Moncton area, drop into Bryant’s shop and get him to sign it for you. 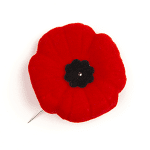 I will be at Chapters in Dieppe Saturday, December 2 from noon to 2 pm to sign and chat. For many of the items below, check with W.W. Doak and Sons (365-7828) in the Doaktown area, Curtis Miramichi River Outfitting (843-2481) in Blackville, Herb’s Fly Shop (843-6354) in Blackville, Miramichi Hunting and Fishing (622-3071) in Miramichi and Trout Brook Fly Shop (622-0676) on the Northwest for more detailed prices. A visit to Bryant Freeman’s Eskape Anglers (386-6269) on Wentworth Street in Riverview is always fun. First the big items. Maybe a new rod may be in order. These could run anywhere from $100 to $1000. I like the Emery Streamside Rods. They offer a very good product at a reasonable price range $125 to $200. Streamside has a four-piece rod with its own case, which is ideal to carry on an ATV, walking a trail to a favourite pool, or packing to travel. They also have a very nice Streamside Elite, my favourite rod, that is a 10-footer, priced between $125-150 and throws a very nice line. A nice 9-foot Streamside is the SS909 graphite with a five-year warranty. Next look at waders. Most anglers use chest waders. Check with the above shops for their selections. There are also the stocking-foot waders with the wading shoe, some with felt and studs, for both men and women, and neoprenes for colder wading. Reels: Emery Streamside puts out a nice affordable Classic Cast Deluxe at $50 to $100, along with the LA 3000 Legacy models. I like the large arbor for quick reeling. This series will cost from $250-$300. Other items: Rain suits ($100), rain jackets ($35), rod cases where the reel stays attacked ($35-60), vests ($30-$100) (Emery has a beautiful new vest with detachable sleeves and more pockets than you can count in its Streamside wear, as well as an adjustable Lady’s vest, landing nets ($20-$50) (Try to get one that will not scratch the eyes of the fish), Bug Jackets ($25-$40), and Inflatable fishing vests with a pull cord to inflate immediately in case the water gets too deep unexpectedly or slips in fast water ($150), and a new fly line, and I recommend an Emery Streamside ($25-$40). These are the big and very necessary items. Now for the “also” category. A new hat ($5-$20), polarized sunglasses ($15 -$25), pliers for removing the hook from the fish quickly and efficiently, not to mention protecting your own hands on from the fall hook bills (($10-$15), a new set of braces for the waders ($15), a good knife ($10-$20), or a really good one $60-70), tape measure preferable attachable to the vest ($5), thermometer and depth gauge (for the lake angler) ($10-$20) Fly boxes (plastic $10, aluminum $15-25), and a box with a dozen flies ($30). David Adams Richards’ “Lines On The Water“, George Frederick Clarke’s “Song of The Reel” and “Six Salmon Rivers and Another“, Lee Wulff’s many books especially on dry fly fishing, Michael Brislain’s “Bugging The Atlantic Salmon“, “The Main Southwest Miramichi River” book of coloured maps marking pools and open water ($25.00), coffee table books such as Gary Anderson’s “Atlantic Salmon: Fact and Fantasy” or “The Atlantic Salmon and The Fly Fisherman“, Timothy Frew’s “Salmon: The Angler’s Guide“($30-$40), River Talk by Mike Crosby, James (JIM) Mariner’s TIGHT LINES MEAN BRIGHT FISH: THE LARRY’S GULCH STORY. There are “The St. Mary’s and Other Waters” by Charles Widgery ($13.95), “Recollections” by Clayton Stanley Stewart, “Stillwater Fly Fishing” as well as several others by Paul C. Marriner, including his latest (and updated) Modern Atlantic Salmon Flies, “A Little Thing I Tied Myself” by Don MacLean ($19.95), “Rivers of Yesterday” by Mike Parker, and “Closing the Season” by Brad Burns. There are also angling videos ($20-$40), fly patches to hold flies ($4), and line cleaners ($3-5). Don’t forget a measuring tape. For the builder and tyer there are the rod building kits ($100-$150), salmon fly tying kit ($100-150), scissors, ($12-$30), bobbins (steel $6-$10, ceramic $15-$20), vices ($15-$200), and any number of fly tying materials from feathers, hackle, deer hair, capes, threads, yarns, head cement in a variety of colours, flash, from $2 to whatever, and boxes of 100 hooks ($6- $10, and doubles a bit more). Syd Matchett has a line of fishing gear called “Snobee” which features everything from clothing for angling to actual fishing equipment. It’s worth a look. For the trout and striped bass anglers there are the lures ($2-$5), spinners ($1-$2), reels ($15-$20) and rods ($40-$100) and maybe a new creel ($10-$20). A subscription to, FlyFusion (based in Calgary) ($24.95 or “The Canadian Fly Fisher” ($18) (613) 966-8017 are also excellent choices. Now for the angler who has everything, try a salmon fly broach pin with a classic pattern. These are good for hats, vests, or Jacket/shirt for both the male and female angler. There are memberships in the Atlantic Salmon Federation which gives several glossy coloured magazines a year with excellent stories, not to mention that you are helping salmon conservation, memberships in one of the local salmon associations such as The Miramichi Salmon Association, The NB Guides Association, the N.B. Wildlife Federation which has been in existence since 1924, the Moncton Fish & Game Club, the Dieppe Fly-Tyers, the New Brunswick Salmon Council or other clubs in your area. The Atlantic Salmon Museum in Doaktown has memberships ($25 or cheaper if one belongs to a local association) which includes visiting rights to the museum and its Hall of Fame as well as eight newsletters throughout the year which give the news and counts from the rivers. Join the Coalition for Better Atlantic Salmon Management: which now has a website at salmonnb.com, which has been expanded and updated. It already has a membership over 1,000 and is a major voice for salmon conservation here in New Brunswick. You might consider pampering yourself, your spouse or both by booking a vacation on the river at a salmon club or lodge such as Ledges Inn (Doaktown), Country Haven, Wilson’s, Ponds, Upper Oxbow Outdoor Adventures, Red Rock Lodge, or any numbers of others. A day to a week might be out of this world in your own back yard. We book elsewhere, so why not at home! Some of the fly tyers such as Dewey Gillespie, Jack Kitchen, or Jacques Heroux, will make up beautifully framed and mounted classic salmon flies, which are very classy in any room or office. As well, many of the angling shops mentioned above will put together Christmas Fly packages for you. They make a nice gift. Don’t forget to make your opinions known regarding salmon and striped bass regarding the Miramichi system. Make yourself heard! * indicates fewer than 5 years are available to calculate the mean. N/A indicates that no values exist for that year, date of operation may vary from year to year. With the help of some much needed rain the final days of the salmon angling season heated up in Nova Scotia and PEI. Plans to stock hatchery reared adult salmon into the Miramichi River by a collaboration known as CAST have been halted by Fisheries and Oceans Canada. The Atlantic Salmon Federation on smolt-adult-supplementation and why we left CAST. A great article from the New York Times on the Margaree River in Cape Breton. The presence of escaped farm salmon and lack of wild salmon in a major river in southwest New Brunswick is raising alarm in the U.S.
Virulent ISA has hit a cage site near Gaultois on Newfoundland’s south coast, threatening both wild fish and other cage sites. Listen to interview. A SPECIAL THANKS to all who have made contributions so far this season. If you would like to sponsor or advertise in this column, give us a call at (506) 352-7668 or email support@mightycommunity.com.